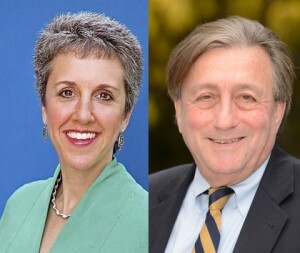 One day away from the primary election, contenders statewide are gearing up for the final stand against their opponents, but few battled as fiercely as the Democratic candidates for the Senate seat in District 17. For months, Cheryl Kagan, a former member of the House of Delegates, and Del. Luiz Simmons have traded blows and sent flurries of discrediting mailers against each other in a district covering the Rockville and Gaithersburg areas of Montgomery County. 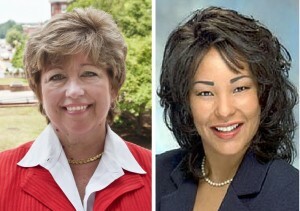 They are both attempting to win the seat being vacated by Democrat Sen. Jennie Forehand. Each candidate claims the other fired the first salvo. Kagan maintains that Simmons pledged a “no mudslinging” campaign but went back on his word right away. Simmons’ campaign strategist, Andrew Feldman, said Kagan for months has distorted and twisted Simmons’ voting record for her own agenda. Simmons declined an interview request because of his full professional and campaign schedule, according to Feldman. Turns out the campaign Hukill led was for his mother, Florida state Sen. Dorothy Hukill, though local media in Florida criticized Sen. Hukill’s decision to pay her son a total $100,000 from her campaign chest over the course of three years. Hukill said he only learned about the Simmons mailer last week and was surprised that the delegate would attack an “average, private” citizen. Hukill stepped down in March because he received a better, higher-paying job offer at a software company, he said, but still volunteers for the Kagan campaign. From Feldman’s prospective, Kagan has been the one pulling out all the stops, including condemning Simmons from switching parties — Simmons was first elected to the House of Delegates as as a Republican in 1978, then returned as a Democrat in 2002. 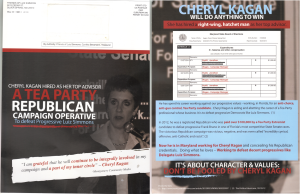 Two mailers depict Simmons gallivanting around as Republican elephant masquerading in a Democrat donkey mask. While in the House during first go-round, Simmons found his views shifting, including voting with then Speaker of the House Sen. Ben Cardin on approving Medicaid coverage for abortions, Feldman said. “It’s important to note here that like Elizabeth Warren, Luiz became a Democrat because he didn’t believe in the direction the Republican Party was going,” Feldman said. The centerpiece of the war between the two is Simmons’ voting record, and mailers sponsored by Kagan and the SEIU (Service Employees International Union) that suggest he’s aggressively against legislation designed to provider greater protections to victims of domestic violence. In the past, Simmons has stalled on a bill that would allow easier access for protective orders in domestic violence cases, changing the standard from “clear and convincing proof” to “preponderance of evidence” — the bar in most civil cases. Kagan accused Simmons of being a key figure in killing a similar bill when it passed through the House Judiciary Committee in 2010, and being hostile to a witness testifying on behalf of the 2010 bill. Del. Kathleen Dumais, D-Montgomery County, a practicing family law attorney, said the committee voted against the bill in 2010 because in some cases the statute is abused and a balance needed to be struck. For instance, someone accused of domestic violence can lose their home and be forced to pay mortgage, alimony, and more. Dumais said she did not agree with Simmons’ style in questioning, likening it to a cross-examination in a court room. She said it could come off as “hard-hitting” particularly to a victim of domestic violence. “I’ve been on the receiving end of it, and it can be frustrating,” she said. This year, the House Judiciary passed HB 307, an administration bill that Gov. Martin O’Malley signed. Maryland was the last state to lower its standards pertaining to those protective orders. Del. Jill Carter, D-Baltimore City, said she has sat with Simmons on the Judiciary Committee for 12 years and thinks of him as one of the most “intelligent and articulate” members of the General Assembly. Carter said that because the committee is primarily composed of attorneys, sometimes their questions can come off brusque, but that they’ve taken steps to be more genial. Both Simmons and Kagan have plumped their campaign accounts — the most recent filings indicate Kagan has just less than $60,000 on hand, while Simmons has even padded his with more than $100,000 of his own money — he still has roughly $15,000 in his account. The departing Forehand endorsed Kagan in the fight against Simmons. Interestingly, Kagan ran against Forehand during the last election cycle. Gov. Martin O’Malley and U.S. Rep. Chris Van Hollen have also pledged Kagan their support. Simmons has earned an endorsement from U.S. Rep. John Delaney. CLARIFICATION: 6/23, 4:30 p.m. The initial version of this story said that U.S. Sen. Ben Cardin had endorsed Simmons. A spokesperson for Cardin’s campaign said the senator had supplied positive comments about him for use in the campaign, as Simmons did in a mailer, but Cardin had not officially endorsed either candidate.